Peter Singer and Chitra Divakaruni each offer a powerful commentary on world poverty. Both of their respective essays, "The Singer Solution to World Poverty" and "Live Free and Starve" demonstrate good writing skills and rhetoric are therefore worthy pieces for inclusion into any book club. 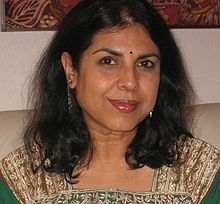 However, of the two authors only Divakaruni has first-hand experience of poverty. Singer's argument, while more shocking and powerful than Divakaruni's, falls short because of his lack of personal credibility and his over-reliance on making the reader feel guilty. find me a quiet, pretty girl, he wrote, not brash, like Calcutta girls are nowadays, not with too many western ideas. Someone who would be relieved to have her husband make the major decisions. But she had to be smart, at least a year of college, someone he could introduce to his friends with pride (Divakaruni). The characters in the poem are enjoying an Indian movie with a simple plot that makes them cry and feel good among themselves although for as long as the film was running, they have returned to their Indian identity completely loosing their American features. Clothes, Silence, and Rebirth in Chitra B. Divakaruni's short story entitled "Clothes"